This post is supposed to be a joke. Or funny at least. Or maybe not? 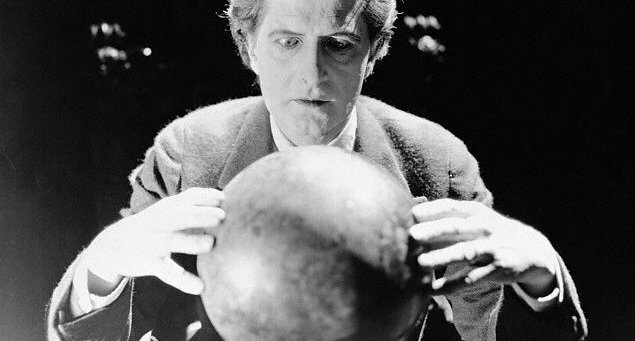 As always it’s time to look into the crystal ball and see what looks back. Anyhow: 2+1+7 is 10. 10 – TOP 10 lists remain popular. The year 2017 will not provide HR officers with any additional time to read useless predictions. So maybe they will glance through the TOP 10 list, which might not be totally irrelevant for them. Maybe there is no budget; maybe the leadership is too old school to understand. 9 – People continue to be people. Nevertheless, they are Gen Y or Gen X, or god forbid, Baby Boomers (actually, are you still out there? ), people are just people. Generalization and fear of changing workplaces is just simply a fraud. This is not the first time in human history when the Young differentiates from the Old different and gets its own bracket and characteristics. A workforce of 100 million cannot be generalized. Individual recipes need to be brought into the limelight, individual motivations need to be fulfilled, and individual competency needs to be mapped. You can have individuals without a team, but you cannot have a team without individuals. 7 – Most of our hiring decisions will have a 50/50 outcome. It’s not a problem to make bad decisions, we all do. Admitting them is what is difficult. Generally, all decisions are 50% wrong. But, if you realize that and you analyze why you have made them, you are finding the right way to a solution. And, yes, collect all the information about your decision so you can learn how to make better people related decisions. 6 – Despite Trump, it’s not going to be always that „Fantastic”- there will be some rainy days. Derailers are still going to ruin some leader’s life if they are not aware of them. You can be good, but you cannot be great without realizing how tough days can affect your overall performance. It’s ok if you – while under stress- engage your flight or fight mode but you really should stop overreacting to situations as doing so could damage your surroundings. 5 – Garbage in garbage out will continue to rule if you are not looking at the right HR data. You might start to measure things, but if you do not measure the right data you will waste time money and energy on it. Some great thinkers say that all in all, after years of data analysis, it’s going to come down to the Big 5 personality measurement which will be revealed to be the most stable predicting factor. 3 – HR tech still remain such techies that only a few will actually understand it. Well, that’s the way it is. It’s like explaining to a great coder what the words „people relations” mean. 2 – Buzzword trending continues. Employee engagement, talent attraction, employer branding, talent pipeline spiced up with a few of the recent BW’s such as virtual reality, gamification, or artificial intelligence remain the most used terms at HR meeting BS bingo. TOP 1 – The ships wheel goes to the hands of the employee: Not it is not the ship but the sea that shall rule. Hmm, bright new present for HR?